This morning I was invited to speak on BBC radio about the Children's Commissioner's 5 a Day campaign launched 6 August 2017. There is a concern that children are spending too much time online (a study by Ofcom found that 5 year olds spend up to 15 hours each week on social media) and socialmedia companies must become more responsible in the way they engage with young people. The 5 a Day campaign suggests that there are five elements of a positive socialmedia and online 'diet'. To summarise the campaign; parents could look at ways in which they can help their child use social media in more positive ways. To be more resilient and not allow the negitivity of others to impact on their sense of self worth. To proactively look at ways to be positive and supportive of others. To use socialmedia to learn new skills and be more creative, and also to make time to be physically active and particpate in sports and outdoor activities. Children will learn from their parents and emulate their behaviour - to some extent. Parents who participate in sports and play musical instruments are more likely to have children who see the positive benefits of such activities. Similarly if a parent is always checking their socialmedia streams on their phone in the home, at the park, the playground, then children will see this as normal behaviour and almost certainly use socialmedia in the same way. Through my work I see so many positive benefits of socialmedia engagement and it is undoubtedly the most useful resource available to me for my own professional development, and maintaining personal and professional relationships. The presenter asked me if socialmedia was 'bad for children's health.' My answer was that inevitably there will be physical issues around eye strain, posture, lack of exercise, sleep depriavation etc. yet ultimately I think 'Everything in moderation' is a useful maxim. Let's help our young people become positive, resilient, safe and creative citizens. To do this, first, we need parents to understand their role in demonstrating these attributes themselves. 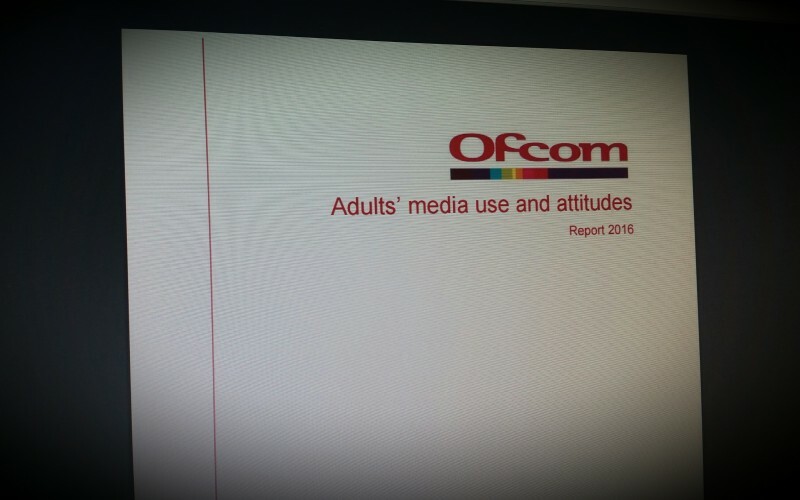 Adults’ Media Use and Attitudes, provides detailed insight into media use, attitudes and understanding among UK adults aged 16 and over. It covers TV, radio, mobile, games and the internet and can be found here. • half of adults (51%) that use search engines are not aware that the top items on many results pages are adverts or sponsored links, indicating there is a need for people to be more aware or savvy about the content they are accessing online. detailed information about the media access and use of young children aged 3-4.